Interview on Radio 531pi - Helen Caldicott, M.D. 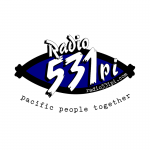 Radio 531pi has been serving our Pacific communities on the AM band since 1993. Our team of broadcasters aim to provide news, views and interviews keeping you informed about the latest sports, current events, and issues affecting our Pacific communities. This interview with Dr. Caldicott was recorded on 16 Nov 2016.